For Christmas, I received two super poetry books, not yet in my library. My sister gave me one with the poem below, “New Year Snow” by Frances Horovitz. 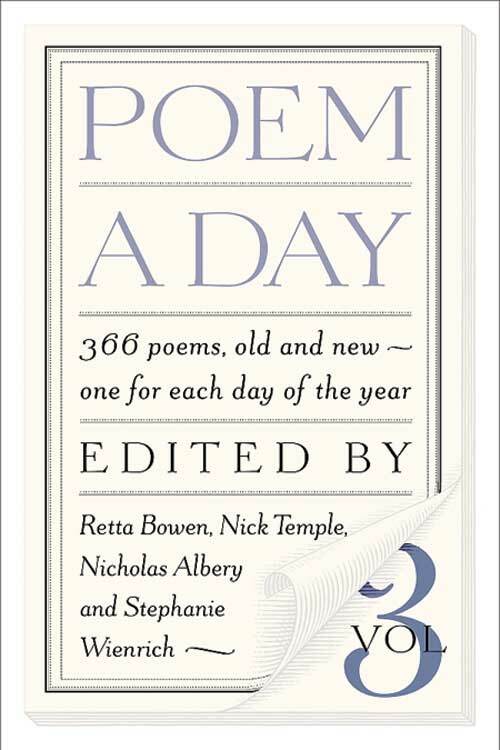 It is the poem for January 1st in: Poem A Day, Volume 3: 366 poems, old and new–one for each day of the year. The book is edited by Retta Bowen, Nick Temple, Nicholas Albery, and Stephanie Wienrich, and published by Zoland Books. I am looking forward to reading the book as designed–throughout the year. Also below, is the commentary on the page about the poet, an excellent feature of the book. Frances Horovitz read English and Drama at Bristol University and trained as an actress at RADA. 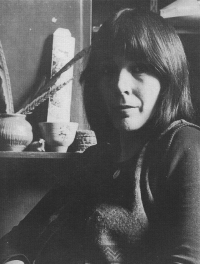 After graduating, she concentrated mainly on reading poetry and only began to write herself following her marriage to the poet Michael Horovitz in 1964. Her first pamphlet was published in 1967, followed by The High Tower in 1970. Her son Adam, now also a poet, was born in 1971 and the Horovitzs moved to a remote offshoot of the Slad Valley in Gloucestershire, which became a source of inspiration for many of the poems in her third book. It is from this book that “New Year Snow” is taken. She married Roger Garfitt shortly before her death in October 1983. Bud, that’s a lovely poem to begin the new year. I’ve been trying to read one poem per morning (before 9 am) this year, but find that I have the attention span of a flea at 8 am. I like poems shorter than 20 lines and this one is a perfect example of what appeals to me at dawn. Is the rest of the book similar? Happy new year to you and yours, by the way. Thanks very much for stopping by. A sincere happy new year wish to you too. So far, each morning, I have read a poem from the book. Though I don’t expect to be ultimately that perfect with it, I figure to finish at year’s end. I had a poem calendar a couple years ago, kept it at work, and that’s how it went. The poems are the size you say. Thanks very much for stopping by. It’s good to see you here. Hi Adam – I’ve been surfing on the net to find out more about your mother’s poetry. You may be interested to know her “Collected Poems” is a set text option as part of a module for an MA degree in Spirituality. 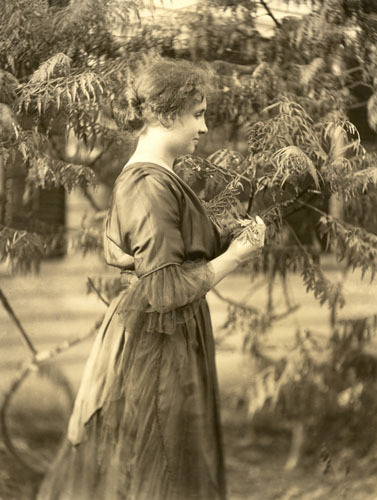 I am collecting info about the background to some of your mother’s poems for an essay about how she used myth and landscape to evoke a sense of the journey of a soul. (Any commets?) So, your mother’s writings are still appreciated by a lot of us new fans. PH. I need some help in finding a book that I had as a child. It has a poem for everyday of the year black and red and blue drawings for the pictures. My book is in bad condition no cover, can you help me find a good used one? Do you have more information on the book. It’s title, the illustrator, or editor?